LOTTO – Next Lotto draw takes place on Sunday night 1st April in the Dugout. The player’s team are hosting the draw. Jackpot is €10,500. 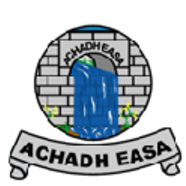 FIXTURES – Our Junior Team will play Ballinamore Sean O’ Heslin’s in Ballinamore on Monday 2nd April at 2pm. ST JOSEPH’S BOYS – Our u17’s lost out to St Mary’s last Saturday morning in Pairc Naomh Mhuire. Our next game is against Fenagh during the week. Our U13’s also played in Carrick on Saturday morning and after a brave battle we went down by one point, all still to play for in the next two games with semi-final places up for grabs. Our u11’s were in Pairc Sean on Sunday and played at halftime in the Leitrim –v- Wicklow game, a great occasion for all those young boys and girls and hopefully plenty more appearances in Pairc Sean in the years ahead. Well done to all involved with all teams. TABLE QUIZ – Coiste na nÓg annual Table Quiz will take place in Aughavas Community Centre on Good Friday night at 9:15pm. We hope to see a good turnout with plenty of spot prizes and refreshments served on the night. Please support. BAKE SALE – St Joseph’s Ladies bake sale will take place on Easter Sunday 1st April in Aughavas GAA club rooms after mass.